3 great homes on 2 Parcels. 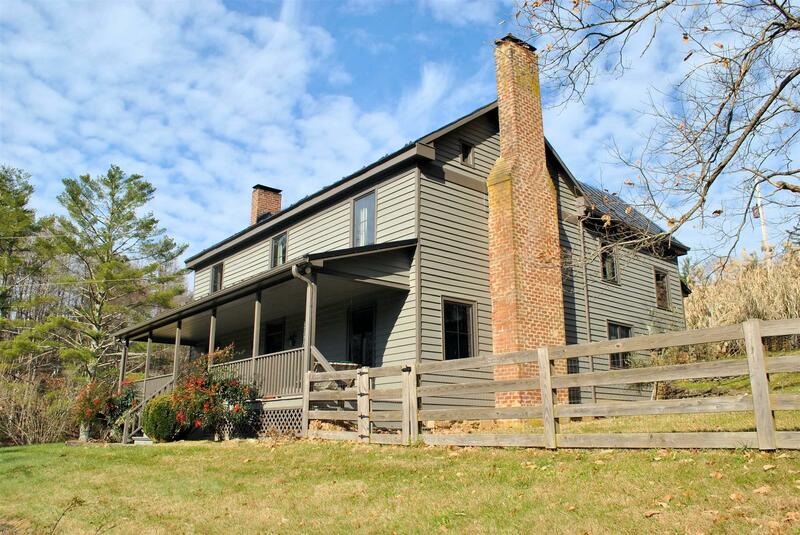 This unique property has a restored 1866 Farmhouse w/all the charm of yesteryear w/modern conveniences, a 2BR Cottage & studio apartment above a 2-car garage all on 18+ acres. The pine boards on walls, ceilings & floors upstairs in 2BR farmhouse are original & were harvested on property & kitchen has been updated w/a Viking gas stove & all custom built cherry cabinets. Every corner of home is filled w/history, artistic touches & charm. To the north of house a 2BR, 2BA A-Frame cottage was built in 2001 & is comprised of a great room, kitchen w/hemlock cabinets, laundry room & full bath w/shower built for wheelchair access. Solar tubes were used to add natural light throughout. In 2007, 2-stall garage w/studio apartment over it was built to the north east of the cottage. It has 6 dormers, decks to the East & West, a full bath, laundry room & fully equipped kitchen. A partially paved lane runs thru property. A treasure of Floyd Co you won&apos;t find anywhere else! Directions: From Downtown Floyd Take Rte. 221n (Floyd Hwy N) North Towards Roanoke. Turn Right On Meadow Run Rd. Go 2 Miles To Pine Springs Drive On Left. SEe Sign. (Please Use 1145 Meadow Run Rd SE, Copper Hill, Va. 24079 For Gps Mapping).